The Great British Sewing is due to start on BBC 2 on Tuesday the 18th February. I’m really looking forward to it, last year it both inspired me and highlighted how little I know about dress making. I have designed a slightly more mainstream Sewing Set. Designed to hold all your sewing supplies, the set includes a needle case, pin cushion pin cushion and handy pouch. 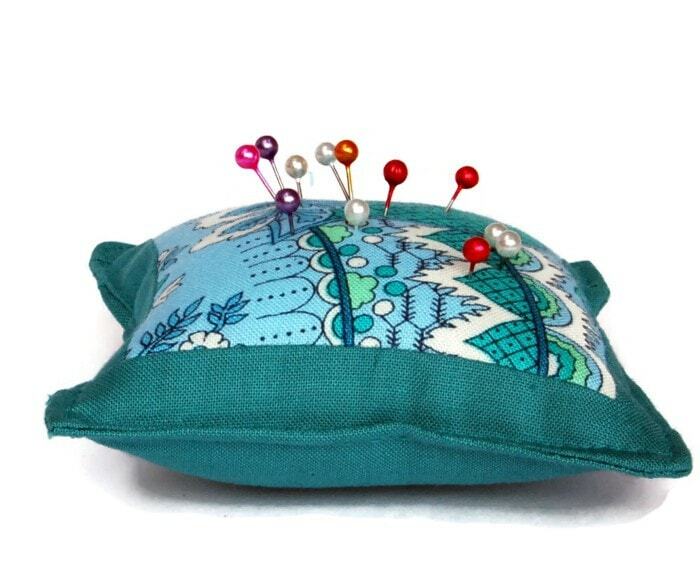 The pin cushion is ideal for keeping your pins safe, and easily accessible whilst working on a project. The pin cushions are made from 100% cotton and filled with polyester fibre filling. 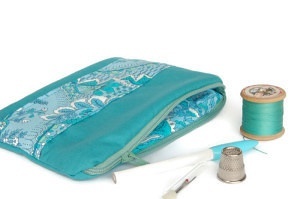 A lovely and useful little needle case with a pocket to hold bits and bobs. 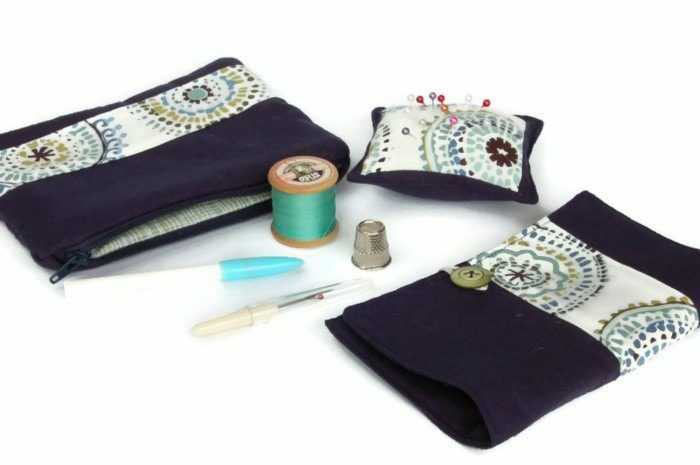 Such a handy thing to have around this little Needle Case has two felt leaves to hold your needles and pins and a pocket for other bits and pieces. If you fancy applying for season three of Great British Sewing Bee applications are open. To find out more contact sewing@loveproductions.co.uk. Happy to have BBC2 here in The Netherlands too! 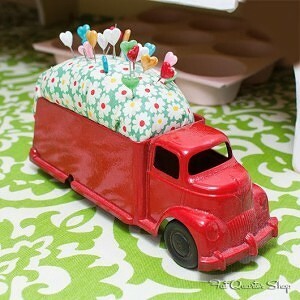 your sewing sets are lovely-and what a fun pincusion in the truck-very cool! Your sets are wonderful! 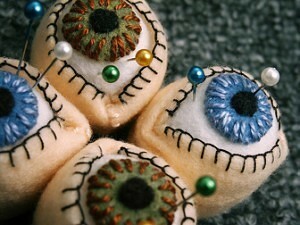 Those eyeball pincushions are a bit freaky, aren’t they? Can’t wait for the sewing bee! Your work is lovely, but those eyeballs with pins in made me blink a few times – they are great though. Hope you have a good week. Thanks for the Sew Bee news, I hadn’t realised it would be back in Feb. 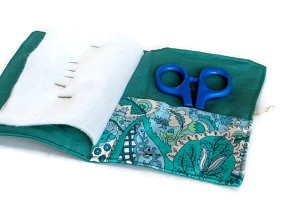 I love your sewing sets, the pocket for scissors/ bit and bobs in the needle book is a brilliant idea. The sewing sets look wonderful. I love the fabrics you’ve used. Can’t wait for the sewing bee. 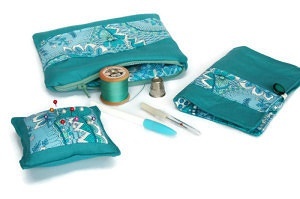 I love these matching sets and your choice of fabrics, they would make lovely gifts. I love your sewing sets – they are very stylish. 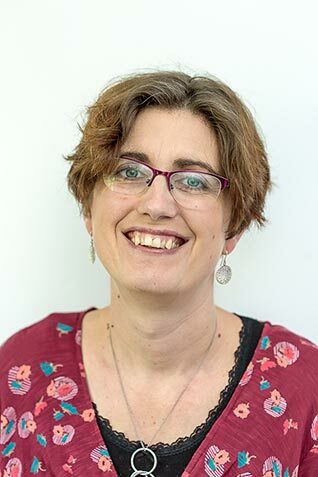 I am also very excited that the sewing bee is back, I can’t wait! 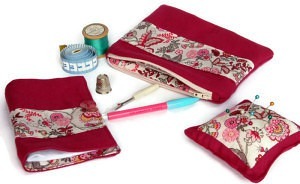 Beautiful sewing sets. I love the little projects which can be finished quickly.